One out of every five LED bulbs sold through independent online retail websites in the UK violates environmental law, according to a non-profit company that oversees lamp recycling for the industry in Britain. Interested in articles & announcements on LED lighting compliance & standards issues? Nigel Harvey, CEO of Recolight, said most of the vendors providing the non-compliant products are based in China including Hong Kong, yet many of the bulbs are available for next-day delivery. The companies are selling the lamps through “some online multi-seller retailers,” he noted. Recolight did not publicly name either the retailers or the vendors and brands. The bulb makers have failed to comply with what's known as the Waste Electrical and Electronic Equipment (WEEE) law, Harvey said. WEEE is a European Union directive, and as such has been written as statutes in the UK and the other EU countries. It stipulates requirements for disposing, recycling, and reusing products and materials. WEEE obliges manufacturers to sign up as WEEE-registered companies, and that's where many overseas vendors are allegedly straying. Harvey pointed out that an astounding number of manufacturers do not appear on the list of WEEE-registered companies published by the UK government's Environment Agency. Recolight estimated that as many as 20% of all LED bulbs sold through the websites do not comply. It based this figure on the number of unregistered companies, the average size of sales, and the volume of reviews of LED bulbs in general. The Croydon, England-based company has submitted its information to consultants who are preparing a report about online WEEE compliance for the Organization for Economic Co-operation and Development (OECD). While the manufacturers would be in violation, it is believed that loopholes mean that the online retailers themselves are not. “Recolight will be calling on ministers [government office holders] to close this loophole in the forthcoming review of the WEEE regulations, provisionally set for this autumn,” Harvey said. 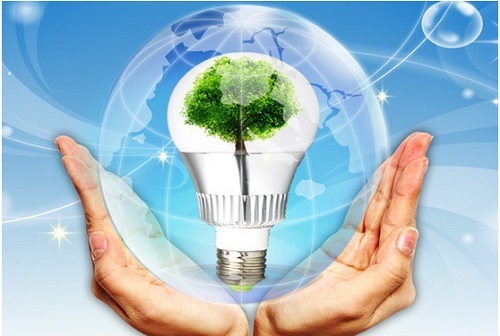 Recolight is funded by lighting vendors to implement WEEE practices, such as collecting bulbs from local centers, hauling them away and crushing and recycling them. It handles a multitude of lamp technologies including compact fluorescent, halogen, metal halide, and LEDs. While long-lasting LED bulbs make up only a small proportion of all recycled bulbs, LED manufacturers still must participate in the scheme.